The information below is extracted from the CAA CAP 722, and CAP 393. These are subject to change so the information below might not be up to date. Please refer to the actual documents for the most relevant regulations. 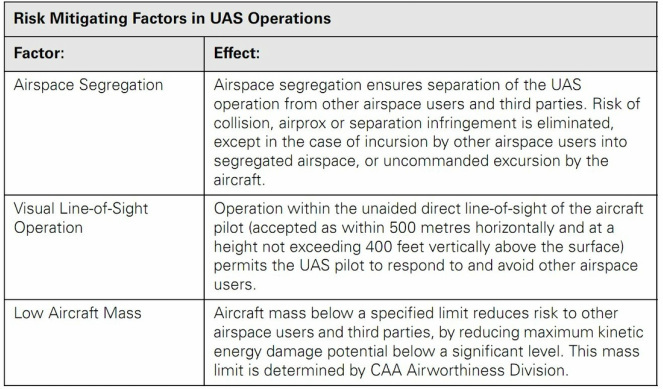 The effects of operating mass of the UAS that you are using are summarised in the table below. Essentially if you are flying under Case 0 situations with a UAS that has a operating mass that is less than 7 Kg you will not be required to have a qualification to fly. 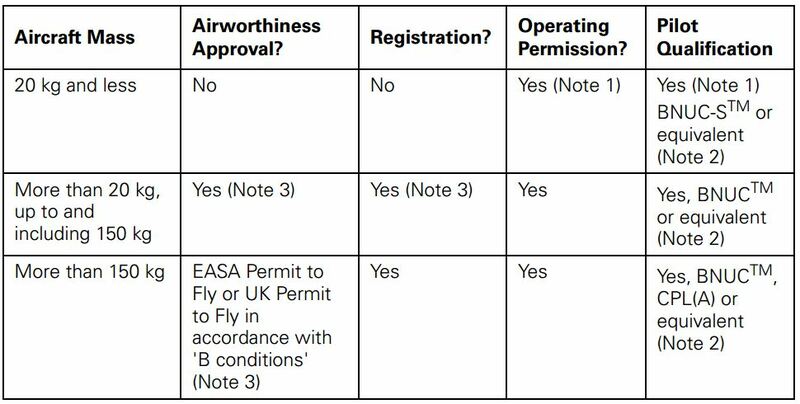 However depending on where you are flying you might require a BMFA A Certificate, and if you are flying commercially a Industry Code of Practice is required. If you want to use your UAV for commercial purposes you will need to obtain a BNUC-S qualification. You can see more in the table below. Note 1 Applicable for aircraft used for Aerial Work purposes or if flown within a congested area or close to people or property. Note 2 Equivalent pilot experience will be considered on a case-by-case basis during application for an operating permission. Note 3 It may be possible to obtain certain exemptions from the airworthiness and registration requirements. Once you hold your BNUC-S qualification you will need to apply for permission from the CAA in accordance with ANO 2009 Article 166. A person must not cause or permit any article or animal (whether or not attached to a parachute) to be dropped from a small unmanned aircraft so as to endanger persons or property. [C]at a height of more than 400 feet above the surface unless it is flying in airspace described in sub-paragraph (a) or (b) and in accordance with the requirements for that airspace. [D]subject to paragraphs (3) and (4), within 50 metres of any person. In this article 'a small unmanned surveillance aircraft' means a small unmanned aircraft which is equipped to undertake any form of surveillance or data acquisition.